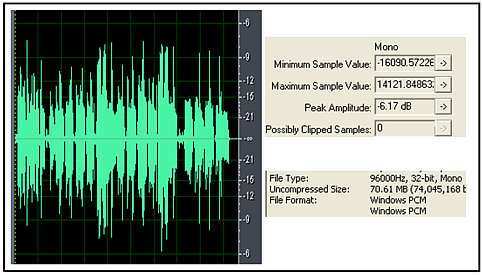 Correct2: This should be greater than 44.1 KHz; 48 KHz sample rate is recommended. Although it won’t hurt either to record at 44.1KHz. Bit depth is more critical than sample rate. In this case, you should always be recording at 24-bits. Step1.) Always rehearse your singer regarding the piece, do the tracking only when the singer is ready and achieves vocal perfection during the practice. 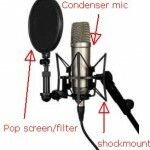 Meanwhile, setup your vocal recording equipments (condenser microphones, vocal booth, headphones etc). If you cannot find a vocal booth in your home studio that completely isolates the vocals from any background noise; find a place where it is reasonably VERY quiet. Step2.) 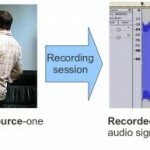 Set your recording software/audio interface to record at 24-bits/48KHz MONO resolution. If 24-bit is not natively supported by your software, you can use 32-bit float/48KHz resolution. 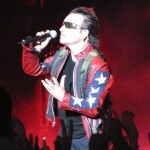 Setting high recording resolution is very important for quality vocals in addition to the artist performance. It is recommended to use an external/professional recording audio interface and not your computer PCI sound card for recording.If you do not have a standard home recording audio interface, you can read this post on cheapest 24-bit/96KHz USB audio interface. When recording vocals, use a standard vocal recording microphones such as Rode NT1A for condenser or SM 58 if you are using dynamic microphones. a.) Constant peaking beyond -6dBFS = you are setting levels too loud, try to lower it a bit. b.) Clipping for the loudest section (level meters hitting red during the loudest part of the vocals) = you are settings levels too hot, aim for -6dBFS maximum. c.) Obvious noise – there should be no obvious background noise in the recording. d.) No peaks above -48dBFS – you are setting levels too low, try increasing it a bit but not hitting the -6dBFS for the loudest part of the vocals. Setting proper levels are essential for proper gain staging. e.) Sluggishness in the vocal recording/latency issues – your computer is running slow; make sure your computer is suitable for audio recording. Or you are opening a lot of programs, make sure only the recording software is running in your PC. f.) Dropouts in vocal recording – associated with slow computers and un-optimized software/hardware configuration. Consult with your manual for best configuration practices of your equipments. Step4.) Once you have cleared the potential problem areas in the previous step, you are now ready to hit the record button. Kindly tell the singer to be ready and then hit the recording button to commence the tracking. As you can see, the peak amplitude is less than -6dBFS (actual: -6.17dBFS) and there are no clipped samples. Also the bit depth, sample rate and type are 32-bit float/96KHz- mono (you can also record at 24-bits/48KHz or 24-bits/44.1KHz). Aim for something like this when recording vocals.